In this series of practical talks first shared on his Eckhart Tolle TV web community, the German-born spiritual teacher responds to what he describes as our evolutionary impulse to assist in humanity's collective spiritual awakening. Tolle designed these six sessions to take listeners beyond the introductory material offered in his public appearances: in "The Current Economy," he points us toward the hidden opportunities in this seemingly dreadful time; "Spiritual Awakening in Daily Life" offers a liberating alternative to perceiving life solely from the point of view of the mind; "To Think or Not to Think" cultivates a state of alertness, evolving beyond thought; "The Gift of Nature" explores the ways in which nature can help us return to the fullness of presence; "Meditation" realizes the spaciousness that is available in every moment; and "Eckhart on Emerson" is his look at the essays of Ralph Waldo Emerson, which he deems "writing of rare depth and truth." 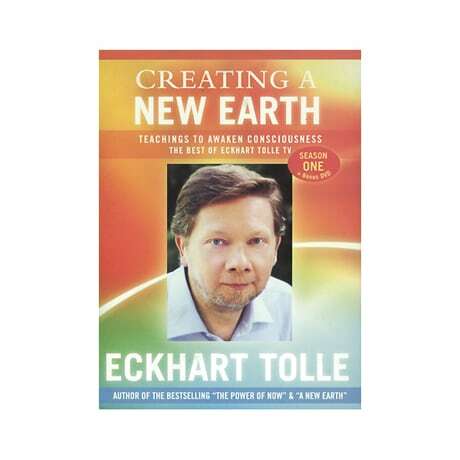 The set also includes a bonus DVD, "Q&A with Eckhart Tolle."